Thank you for allowing the American Civil Liberties Union to submit testimony on the subject of Privacy of Genetic Information. The ACLU is a national, private, non-profit organization of more than 250,000 members dedicated to preserving the principles of liberty embodied in the Bill of Rights and the U.S. Constitution. During the past several decades, our understanding of genetics has multiplied as procedures for identifying, analyzing and manipulating DNA have advanced. The federally funded Human Genome Project, a world-wide research effort designed to map and sequence the estimated 100,000 human genes, continues to make new discoveries on a daily basis in its efforts to meet its approaching deadline in the year 2005. Among the many benefits of these efforts are the ways they may influence preventive health, reproductive planning and eventually therapies to cure illnesses with a genetic component. While no one can deny that this knowledge may be a blessing in finding cures to diseases with genetic origins, including Alzheimer’s, Huntington’s and many forms of cancer, the immediate consequences of such advances have lead to a number of forms of individual discrimination. The ability to identify individuals based on genetic characteristics necessarily predates the ability to use this information in the treatment of the corresponding diseases. Furthermore, genetic information only indicates a predisposition or susceptibility to future illness; such information does not necessarily indicate when an individual will develop symptoms or how severe the symptoms will be. In fact, many people who test positive for genetic mutations associated with certain conditions will never develop those conditions at all. Many individuals identified as having a hereditary condition are, indeed, healthy. Genetic information does not necessarily diagnose disease. Yet we have already encountered the use of genetic information as the basis for discrimination both in employment settings and in the health insurance industry. In a 1996 Georgetown University study of 332 families belonging to genetic disease support groups, 22% of the respondents stated that they that they had knowingly been refused health insurance and 13% stated that they had knowingly been terminated from their jobs because of the perceived risks attributed to their genetic status. The U.S. Department of Labor has found that genetic screening in the workplace is on the rise. In 1982 a federal government survey found that approximately 1.6% of surveyed companies were using genetic testing for employment purpose. This accounted for more than 1,500 U.S. companies. In a similar survey conducted by the American Management Association in 1997, that figure had risen to 6-10% of responding employers (well over 6,000 companies). Additionally, the Council for Responsible Genetics has documented hundreds of cases where healthy individuals have suffered insurance and workplace discrimination on the basis of genetic information. For example, take the case of Christine Demark, a sales representative with an exemplary record. She was fired when her employer found out that she was at risk for Huntington’s disease. The employer had been notified by a co-worker of Christine’s that she had been going to the required counseling before undergoing testing. Subsequently, she was demoted to a customer service position and eventually fired because of this testing. Or consider the three year old child who had recently been diagnosed with an MPS syndrome whose insurance policy was terminated by the family’s private health insurer despite the fact that the family had been on the policy almost a year before diagnosis. After an extended negotiation involving the retention of a lawyer and threat of a lawsuit the policy was reinstated, but only after a rider was added that would exclude coverage for many common MPS-related complications. Indeed, consider further the pregnant woman whose fetus tested positive for cystic fibrosis and whose managed-care health plan limited coverage for her pregnancy and future child while offering full coverage should she choose an abortion. Current statutory protections are inadequate in protecting individual privacy and preventing genetic discrimination. To date twenty-six states do not have any statutory protections against genetic discrimination. Even among those that do such protections are not comprehensive; some states only prohibit discrimination in health insurance or in the workplace or only for specific genetic traits. Federal protection is also limited. The most important such law concerning genetic discrimination is the Americans with Disabilities Act. The ADA prohibits employers from discriminating against those with “physical or mental impairments which substantially limit a major life activity” (or those that have a record of or are regarded as having such an impairment) so long as their condition does not make them incapable of performing their job. While the ADA does not specifically discuss genetic conditions, most experts believe that it prohibits some genetic discrimination. It is clear that the ADA prohibits employment discrimination after a genetic disease has expressed itself. Less certain is the situation where a person has a particular mutation, but as yet has not been affected by the mutation. Such a person only has a predisposition to future illness, is currently healthy, and may not necessarily ever become disabled by a genetically related condition. The EEOC has taken the position in its interpretative regulations that such a person is covered against discrimination when that discrimination is due to the perception that they are predisposed to become ill. This would seem to be supported by case law under the Rehabilitation Act of 1973, which preceded the ADA, and which generally indicates that such perceptions must be substantiated by “a reasonable probability of substantial harm.” The EEOC interpretation, however, has not been tested in court. One situation that the ADA regulations do not address is when a person is an unaffected carrier for a recessive or X-linked mutation. This person never will manifest a genetically based disease, but does carry a mutation. However, if this person mates with another person who is a carrier, there is a 25% chance that the offspring will carry a mutation that may result in the manifestation of an illness. The ADA is silent on how to treat such a carrier. Another such situation concerns people who do not themselves have a genetic mutation, but who have a family member who does. Employers who provide medical insurance for employees’ dependents have a financial incentive to discriminate in such situations. It is unclear at best, however, whether this type of discrimination violates the ADA. Most importantly, the ADA does not protect the privacy of employees and does not prevent employers from obtaining genetic information; it only prevents them from using the information. Under the ADA, an employer who has made a “conditional job offer” is free to conduct unlimited medical investigations of the applicant. This can include collecting information that the employer cannot legally use. This allows employers to learn about an applicant’s genetic status without violating the ADA. Once an employer knows that a potential employee is likely to require expensive medical care, the employer can find some excuse not to hire that person. While employees will sometimes be able to correct this injustice in court, the right answer is to prevent it from ever happening. This can only be accomplished by keeping genetic information out of the hands of employers. Additionally, the Health Insurance Portability and Accountability Act of 1996 (HIPA or Health Care Law) provides some federal protection against genetic discrimination when an employer provides medical insurance. It does so by preventing a group health plan from applying a waiting period on preexisting conditions if the condition was not diagnosed or treated within six months before the plan’s waiting period. If a genetic problem was diagnosed or treated within the previous six months, the maximum waiting period can be only 12 months. Nevertheless other forms of health insurance are not covered. Genetic privacy and equal access to insurance necessarily compete with the insurance industry’s desire to write insurance based on sound actuarial data. Indeed, the underlying foundation of the insurance industry is the ability to discriminate based on such data. Insurance companies are ever vigilant to minimize their risks. Nevertheless there is no epidemic of genetic conditions and they exist at a fairly stable incidence in our society. In fact, actuarial tables used by the insurance industry already reflect the incidents of genetic conditions as part of their risk pooling. Still, demand for policy holders within the industry can lead to an assessment spiral where one company will offer discounts for those persons who submit to genetic tests and consequently soon all companies will adopt such practices in order to become competitive. The incentives to discriminate within the insurance industry remain as underwriting practices become more strict and are structured to identify and insure only healthy individuals. Legislation is the only way to address the privacy of genetic information and the accompanying discrimination. Incidents of individuals avoiding necessary testing in fear that the information obtained from the tests will be made public are already well documented. It is vital that legislation be enacted with a definition of genetic information that is broad enough to include all the sources of information from which an employer or insurer might learn about an employee, policy holder or applicant’s genetic condition. Many proposed definitions have unintentionally omitted important sources. For example, among the most common ways for an employer or insurer to learn that someone is at risk for a genetic illness are by learning that other family members have contracted the disease or that the person has requested genetic counseling. Definitions which focus on testing do not cover these situations. 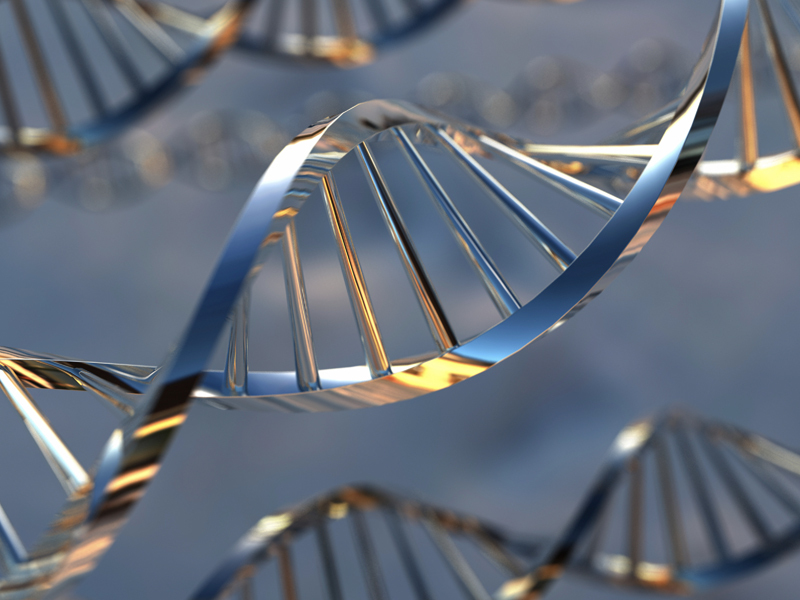 “(a) No employer or insurer may directly or indirectly collect or have access to any genetic information concerning an employee, policy holder or applicant, or member of their family. An exception exists for an employer who can demonstrate that the information is job related and consistent with business necessity. As public concern mounts with the growth of medical technology, it is crucial that restrictions be placed on the accumulation of genetic information by employers and insurers. Without meaningful privacy safeguards and protections against discrimination, the benefits of genetic testing will ultimately be lost as individuals avoid tests in the fear of adverse consequences. The ACLU urges the prompt enaction of a legislative remedy.